EAST LIVERPOOL – Michele Marie Curran and Jeffery Lee Cornell were united in marriage on Dec. 21, 2013 at the First Church of Christ in East Liverpool with Reverend Willard “Chuck” Adkins officiating. Michele is the daughter of Craig and Robin Curran of Lisbon and Jeffery is the son of Jeffrey and Lisa Cornell of Lisbon. 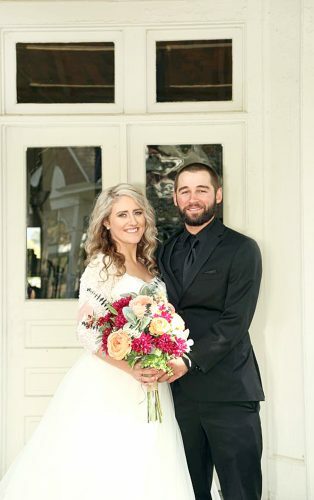 The bride wore an Adorae Louise gown designed by Sottero and Midgley. The fit and flare satin gown had a chapel length train and was heavily ruched with a jeweled band accentuating the empire waist. 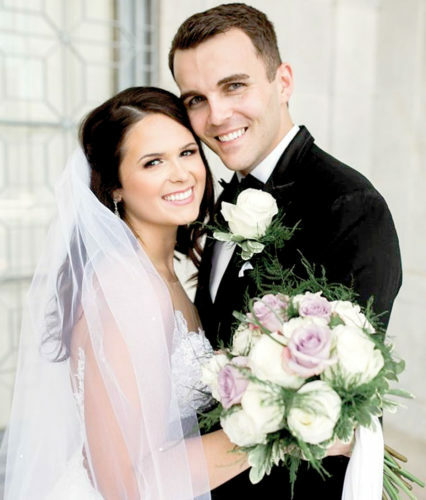 The bride also wore a cathedral length veil, and carried a bouquet of white roses and blue orchids. Melissa Curran, sister of the bride, was her Maid of Honor; bridesmaids were Natalie Curran, cousin of the bride; Victoria Cornell, sister of the groom; Kate Jeffries of Pittsburgh; Anastasia Spystya of Washington DC; Christen Lucas and Emily Kasecamp of Kent, all friends of the bride. 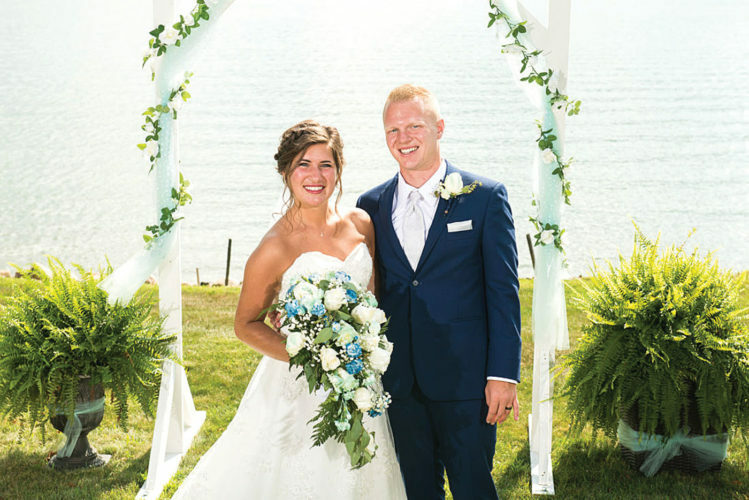 They wore cobalt blue, satin gowns, and carried bouquets of white roses and blue orchids. Jamison Hartley, brother of the groom served as best man, groomsmen were all friends of the groom, Trevor Campbell; Cody Owens of North Carolina; Kyle Reeder; Chuck Lucas and Billy Lucas. 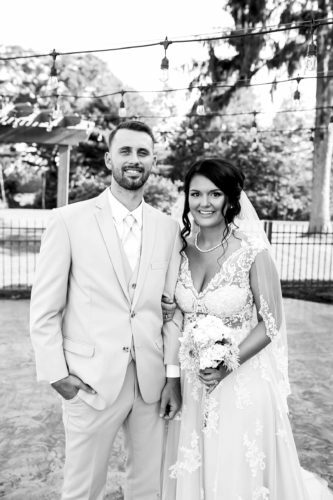 The bride and groom are 2007 graduates of Beaver Local High School. Michele has a Master’s degree in history and is currently working on her Doctorate at Kent State University. Jeffery is employed by the Stevens Construction Company as a Union Laborer. 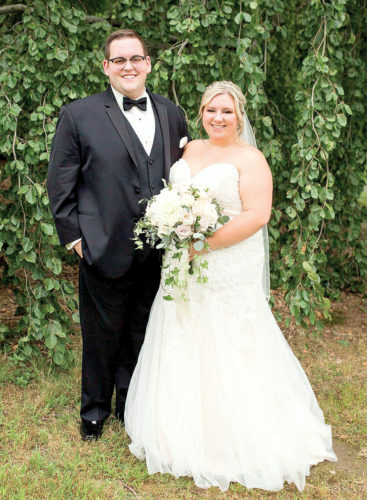 A reception was held at the Salem Golf Club following the wedding. 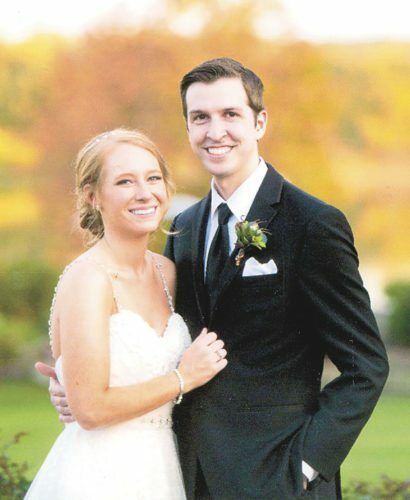 The newlyweds honeymooned in Hocking Hills, Ohio after spending the holidays with family and friends. They reside in Elkton, Ohio.